Happy Presidents Day from Z57! 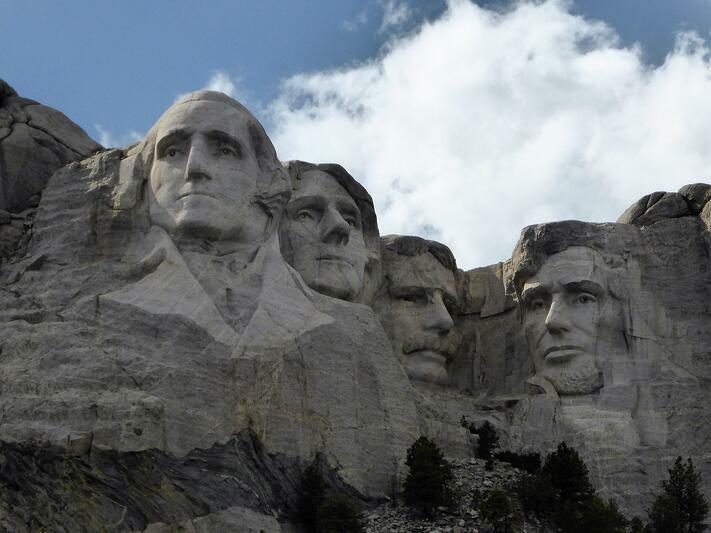 Want to learn some interesting tidbits about the faces on Mount Rushmore? Read more to learn more! Our first president was ailed with toothaches for most of his life. When eh was 57 he had his teeth pulled and wore false ivory teeth for the rest of his life. Our third president tasted Ice Cream for the first time when he visited France. He loved it so much that he brought the recipe home to the United States, and kept the recipe safe in the Library of Congress. Teddy was the lightweight champion of Harvard University's intramural sports. He contineud to spar recreationally into his political career, and would often do it with retired boxers. Eventually one lucky punch burst a blood vessel near his eye and he became partially blind in a single eye. Lincoln created the secret service right before is assassination. The secret service was originally created to fight counterfitting currency. However, in 1901 after the assassination of two of our presidents, they were formally assigned to protect the president. We hope you learned something new! Happy Presidents Day! Consider subscribing to our blog for articles about improving your real estate business!